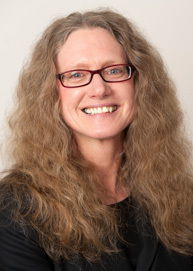 Professor Orr received her BS in physics and math (1982) and MS in physics (1985) from the College of William and Mary, and her PhD in physics (1991) from the University of Chicago. After a postdoctoral position at the University of California at Davis, she joined the University as an Assistant Professor of Physics in 1993. Professor Orr has been the recipient of an SSC Postdoctral Fellowship, a University of California President's Postdoctoral Fellowship, a US Department of Energy Outstanding Junior Investigator Award, and a National Science Foundation Faculty Early Career Development Award. Professor Orr received the Department Award for Excellence in Undergraduate Teaching twice (2000 and 2004), the Curtis Award for Nontenured Faculty Teaching Excellence in 1999, and Goergen Award for Distinguished Contribution to Undergraduate Learning shared with (P. Auchincloss, A. Bodek and C. Jones) in 1998. She was promoted to Associate Professor in 1999 and to Professor in 2004. She was elected fellow of the American Physical Society in 2005. Professor Orr's primary research interest is in theoretical high-energy physics. In particular, she works at the interface between theory and experiment. Her research in collider phenomenology focuses on the physics of the top quark and Higgs boson (in the Standard Model and in Supersymmetry) and on Quantum Chromodynamics.